Enclosure for your recreational Waouuh 360 trampoline. Lateral enclosure for your Waouuh 360 garden trampoline. 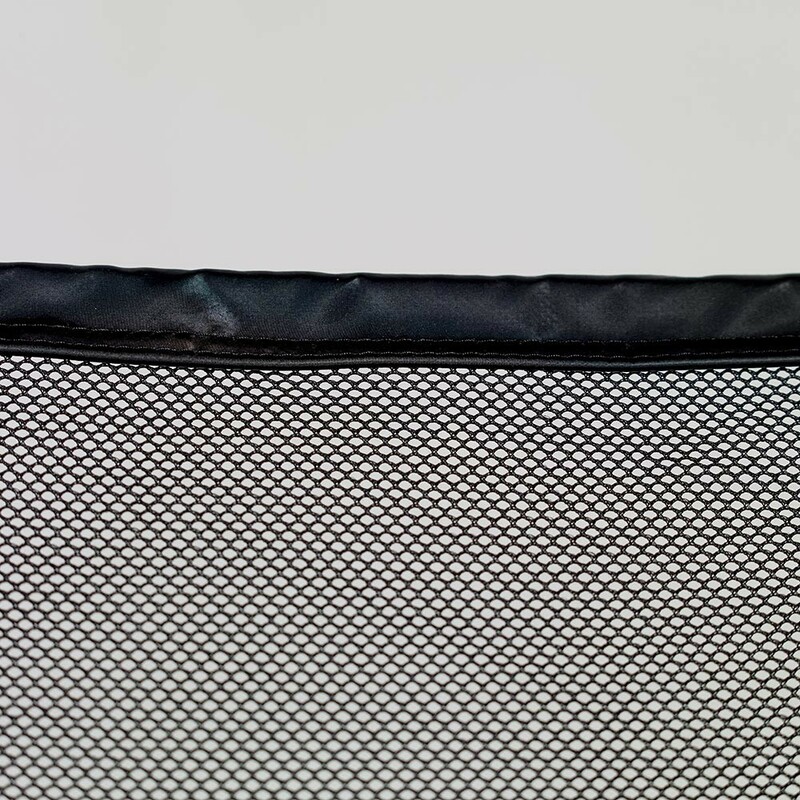 Our enclosure is an essential accessory for your trampoline, as it protects the users. 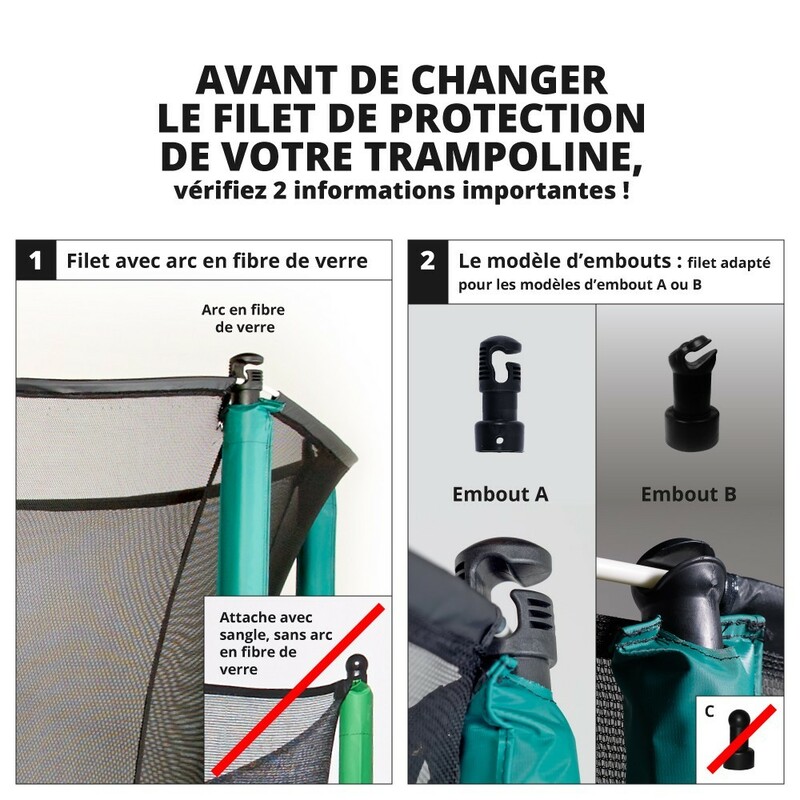 It will prevent users from falling off of the trampoline and running the risk of injuring themselves. This enclosure is adapted to the 12ft Waouuh 360 trampoline. 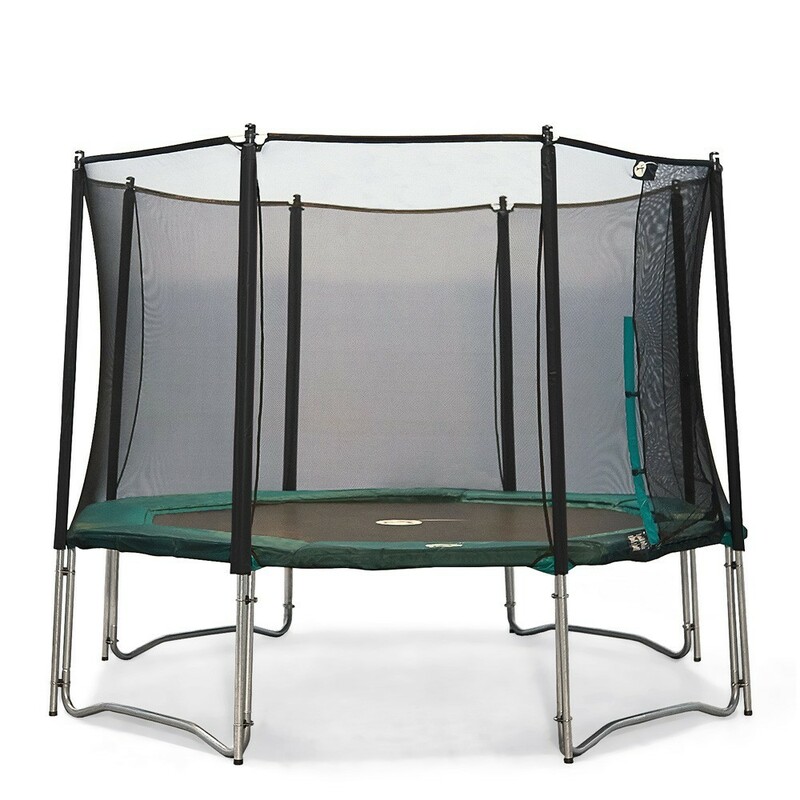 - This enclosure has a double overlapping entrance which guarantees maximum safety on your trampoline. 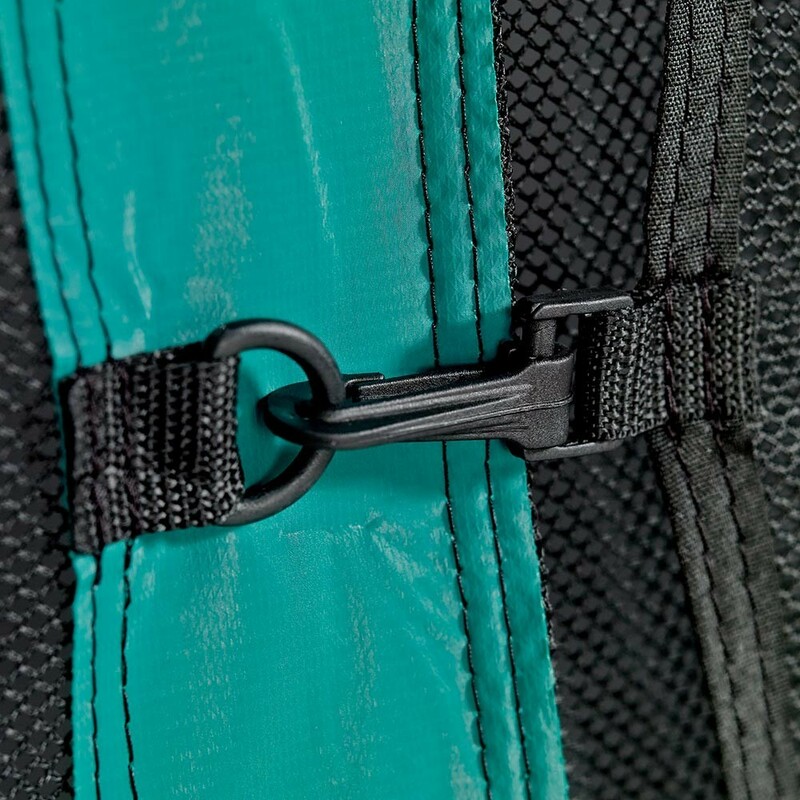 It can be opened and closed using Velcro strips on the inside and clips on the outside. This overlapping entrance makes the enclosure much more fall and shock resistant. - The netting is very fine and tight which means that there is no risk of getting your fingers stuck in the webbing. 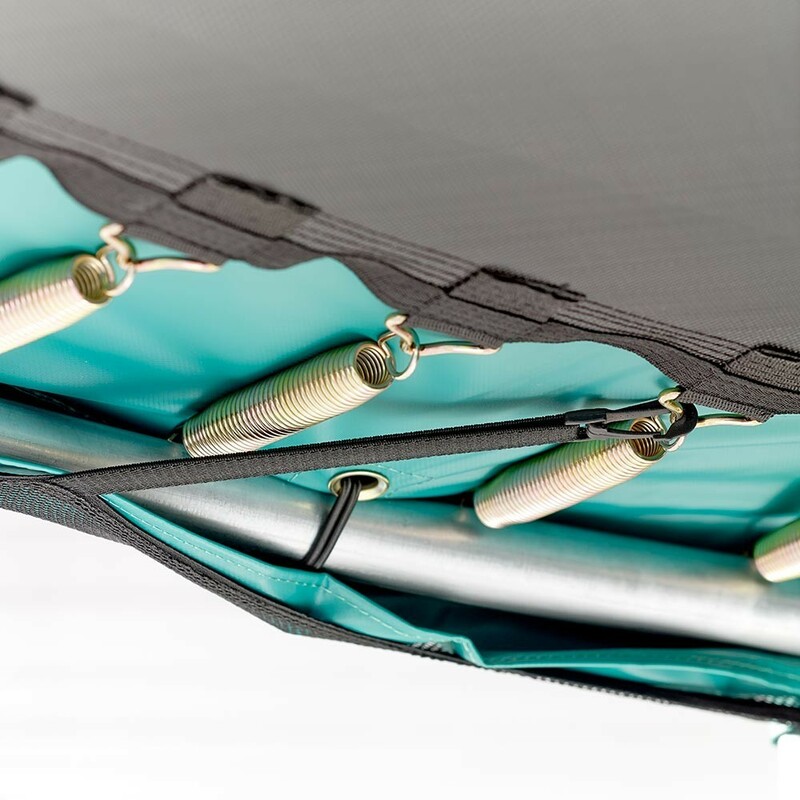 - It is fixed on the underside of the trampoline under the frame pad which prevents any falls between the frame pad and the enclosure. - The enclosure has 8 galvanized steel posts which have been dipped in hot zinc to prevent corrosion. 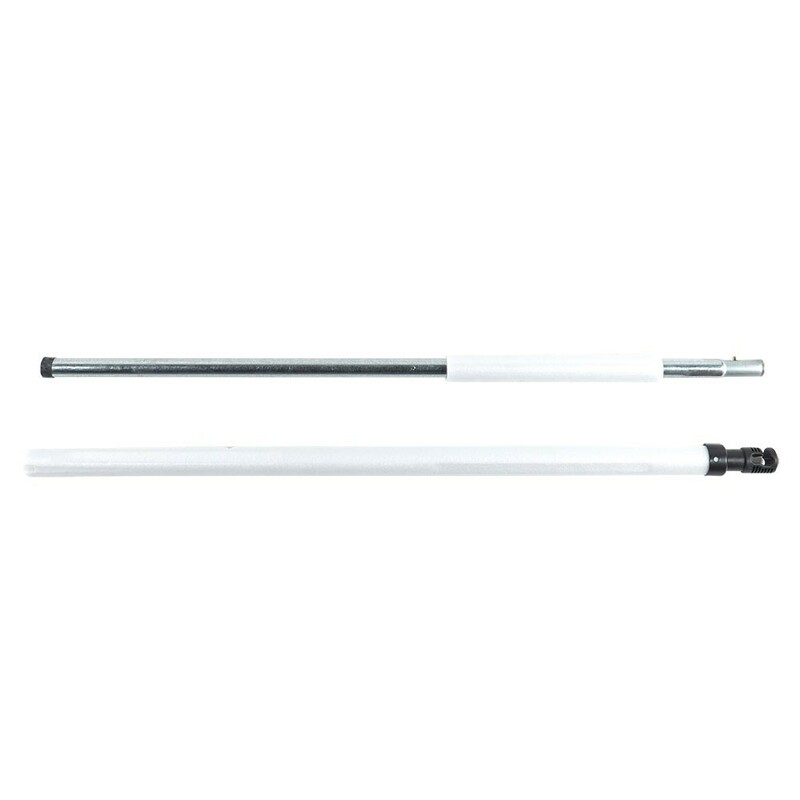 These posts have a larger diameter then most posts on the market (38 mm instead of 25 mm) and bring more stability to the structure of the trampoline. 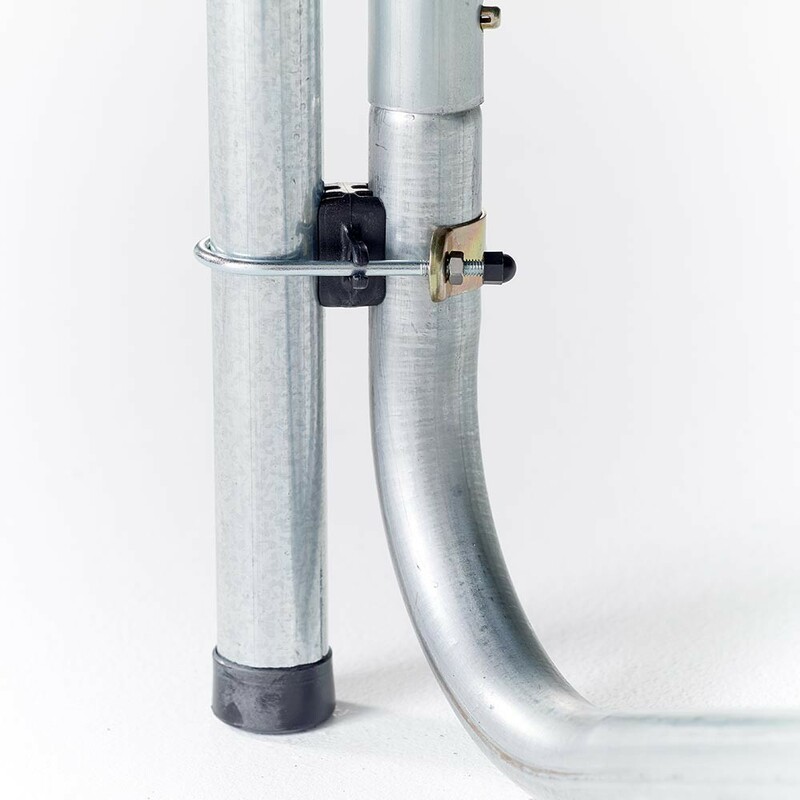 - In order to protect the galvanized steel, our posts are not fixed to the trampoline using screws but using special brackets. 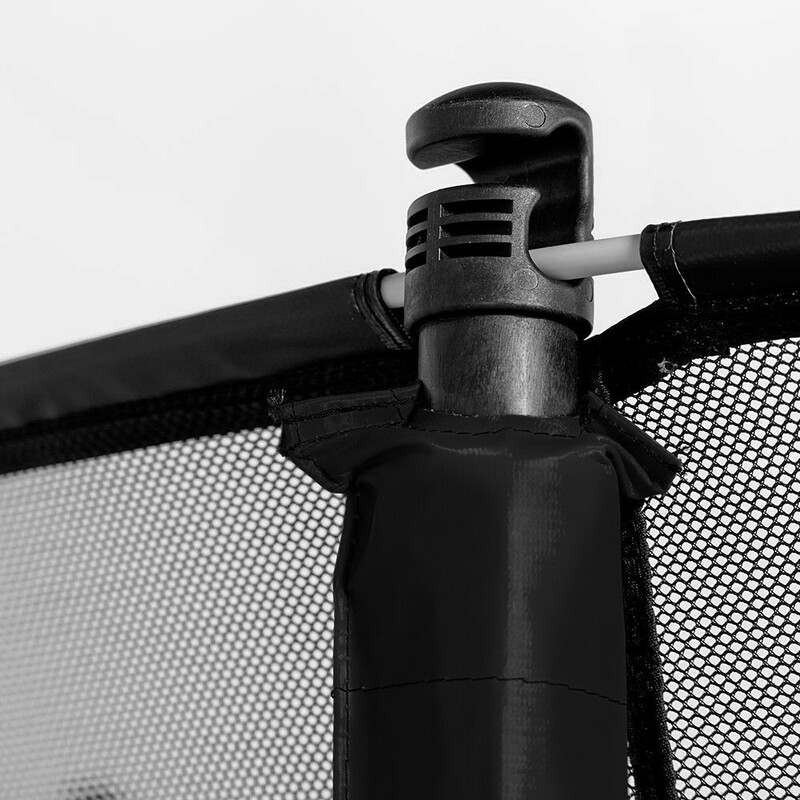 - The posts have been covered in a shock absorbant foam which have a UV-protected, 650 gr/m² PVC cover to protect them from sunlight and to protect jumpers from injury if they fall against the posts. - On top of the trampoline, the enclosure is held in place using fibreglass rods in order to maintain permanent tension on the netting. 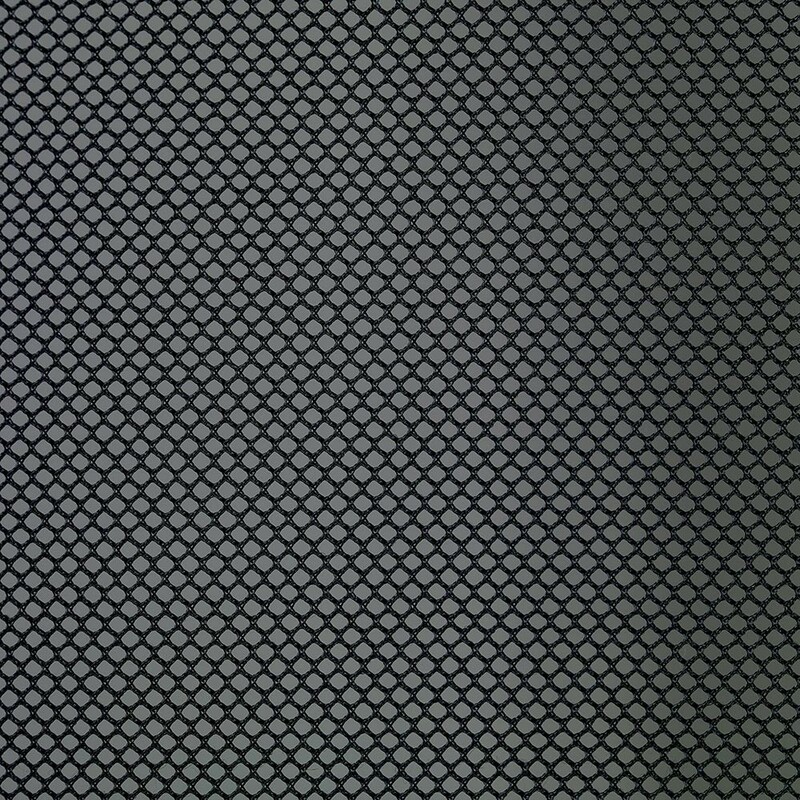 A very tight net means that it will be more shock resistant and makes the trampoline more aesthetic. 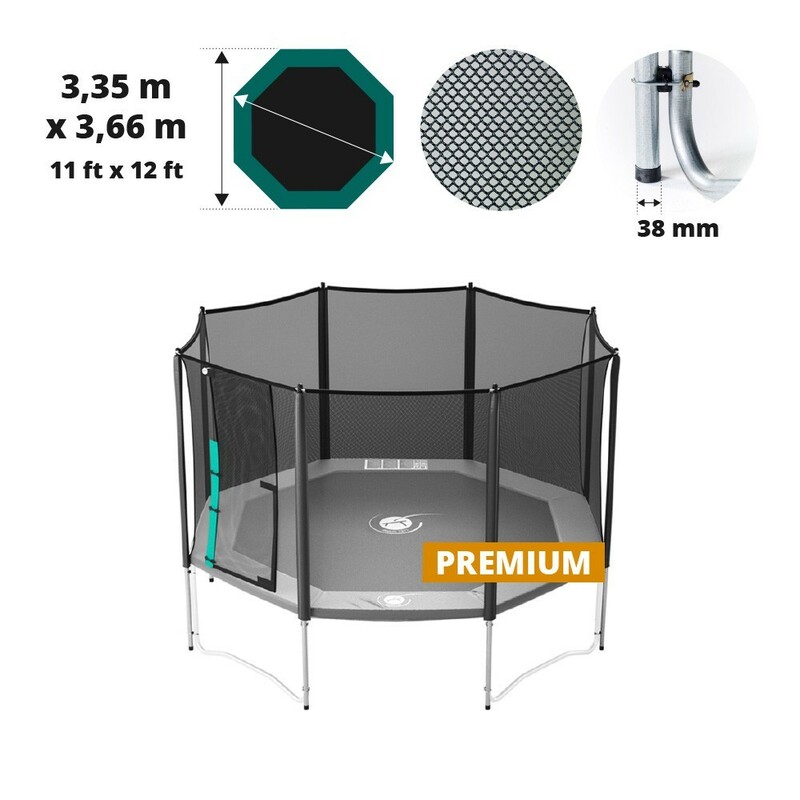 This enclosure is adapted to the Waouuh 360 trampoline, as well as other octagonal trampolines measuring between 3.35 and 3.66 m with precisely 4 feet.